Scandi TV Guy Gets Fired for Not Drinking on the Air! 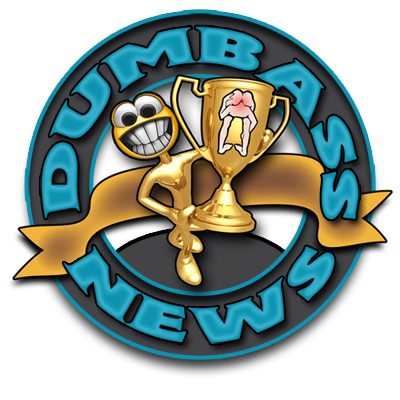 As the Head Dumbass In Charge, or HDIC, here at Dumbass News, the responsibility falls to me to pick out dumbasses from around the world who meet our low, nonexistent even, standards in order to be a "featured" dumbass on this blog. What you are about to read, I would expect from a place like Communist China, but never from a place like Finland, where the women are beautiful and the men are men and the reindeer are nervous. Some executive dumbasses (but I repeat myself) at a Finnish TV station fired a white guy who sounds a lot like Barry White from Kansas, in a Finnish kind of way, for drinking a beer on the air! And when you see the video of the alleged beer drinking, the guy was using an empty beer bottle! The beer bottle isn't the only empty thing in this story, some higher ups at the TV station have empty skulls and no frakkin' sense of humor. I knew that Finland was a socialist paradise, but this incident goes beyond the pale. Watch this clip and decide for yourself. First off, the report mentions "incompetent personnel" serving liquor to customers. You gotta be shittin' me! To serve booze in Finland, what makes you competent to do so? A Bachelor's Degree in beer pouring? Dumbasses.Oh, but the dumbass gets stronger in this fiasco. One serving per customer? WTF? You mean if I take my wife out for a beer, we both have to stand in line to be served separately? Do we have tip the bartender separately, too? Sounds like a Communist plot to overthrow the world to me. Scandi dumbasses. Anyway, back to Olaf or Sven or whatever the news anchor's name is. I watched the video three times and it looks like to me that Nils or Arne or whatever the news anchor's name is, is clearly joking about the story being aired at that time and the beer bottle was empty, except for the skits (read: backwash) at the bottom of the bottle. 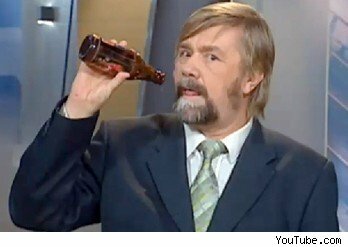 Being Finnish and all that, I have a sneaky feeling that ol' Sven the Barry White-sounding anchor guy just might be able to handle a bit more beer than just the skits in the bottle. But, that's just me. It's possible, I suppose that Olaf could've have been hammered before hitting the air waves, but he doesn't look or sound blasted to me. Besides, have you seen some of the commercials the Scandis run on TV? I am not going to link them, but if you wanna see how stupid and hypocritcal this deal is, Google them. There is hope for Arne the Barry White-Sounding Finnish Guy! As a former Professional Drinker, I urge all you dumbasses, even if you don't drink Barley Pop, to unite behind Sven the Barry White-Sounding Scandi and demand that he be given his job back! There is a Facebook page set up for just such a thing. Join the masses in telling the Scandi TV Executives that they are dumbasses of the worst kind! And have a cold beer to show your outrage and support for Olaf the Barry White-Sounding White Guy! !